It is Laurigami here for sharing a Life Ring Ellie card . First Halloween card of the year ! Hard to believe how fast time is flying. Todays card is using Kitty Avery....i love how this image can be for Halloween or not. 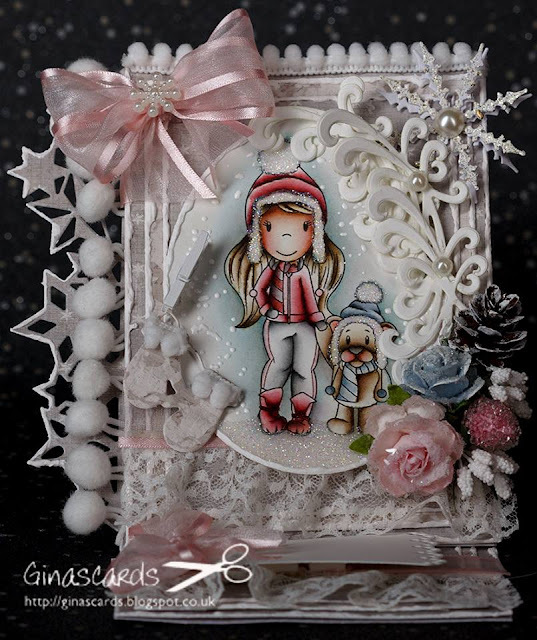 Tamara did an ammmazzzing job making this card~! 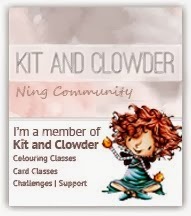 I am super excited that this card ( and 2 more! ) are in the current issue of Creatief Mat Kaarten Magazine ...so be sure to check that out. 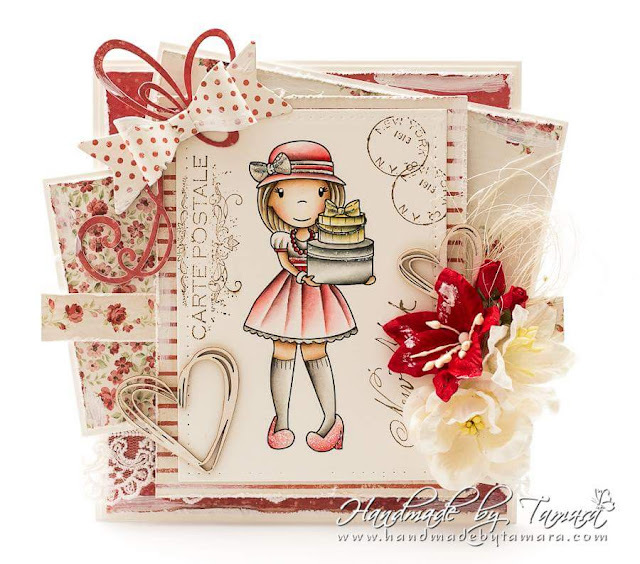 Hello, Elizabeth Elton made this card using Avery with Rose. 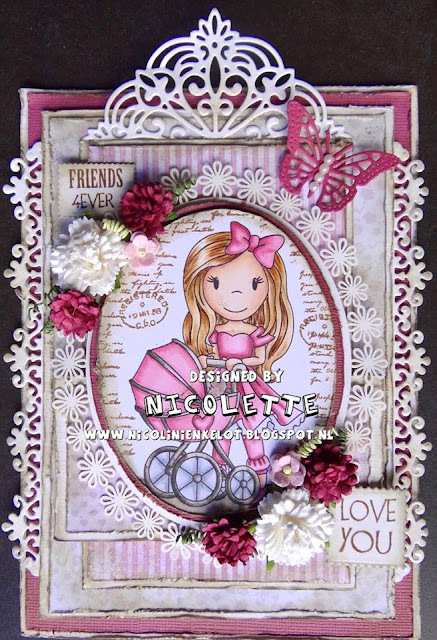 This card was featured in the June issue of Papercraft Essentials magazine. 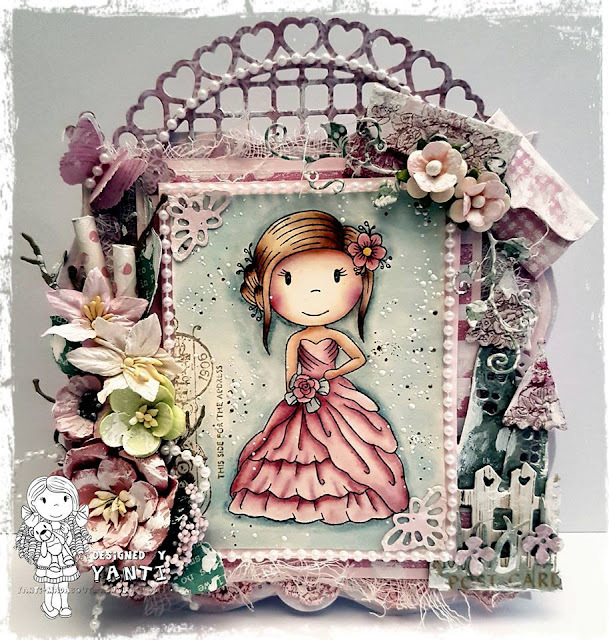 The beautiful flower embellishments accent the details of this intricate project. 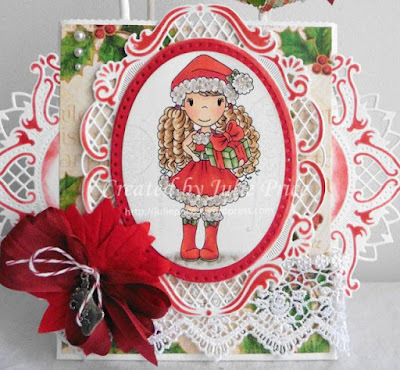 You can see this and more of her creations by clicking HERE or by going to her blog http://scrappelizabeth.blogspot.no/. 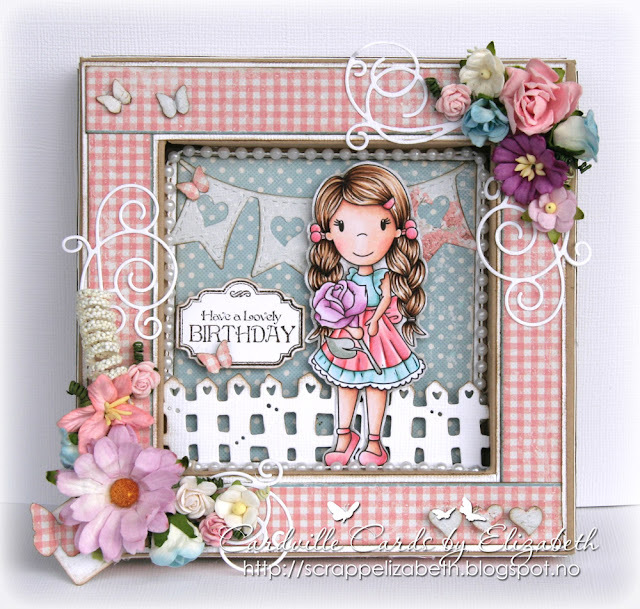 Hello, Tamara Potocnik made this beautiful card with Avery's Kitty Wagon. Distress inks color the image that is surrounded with light spring colors. 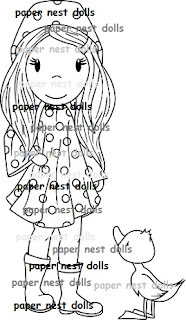 She has such fantastic attention to detail, including the tag made from kitty paper and stitched to perfection. You can see this and more of her creations by clicking HERE or going to HandmadebyTamara.com. 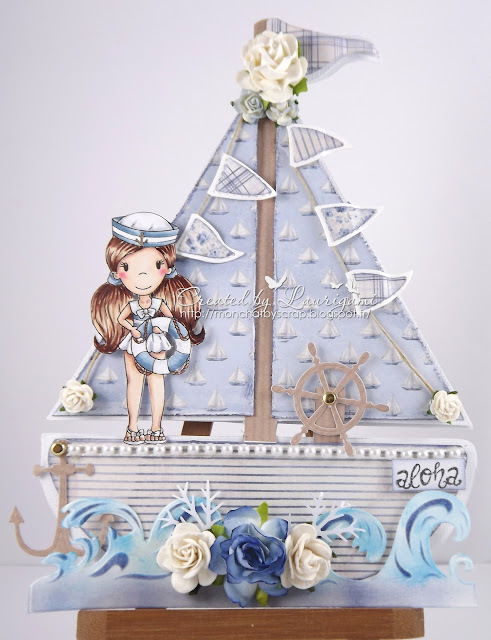 Today we have DT Asa Wermelin sharing another one of her sweet creations. 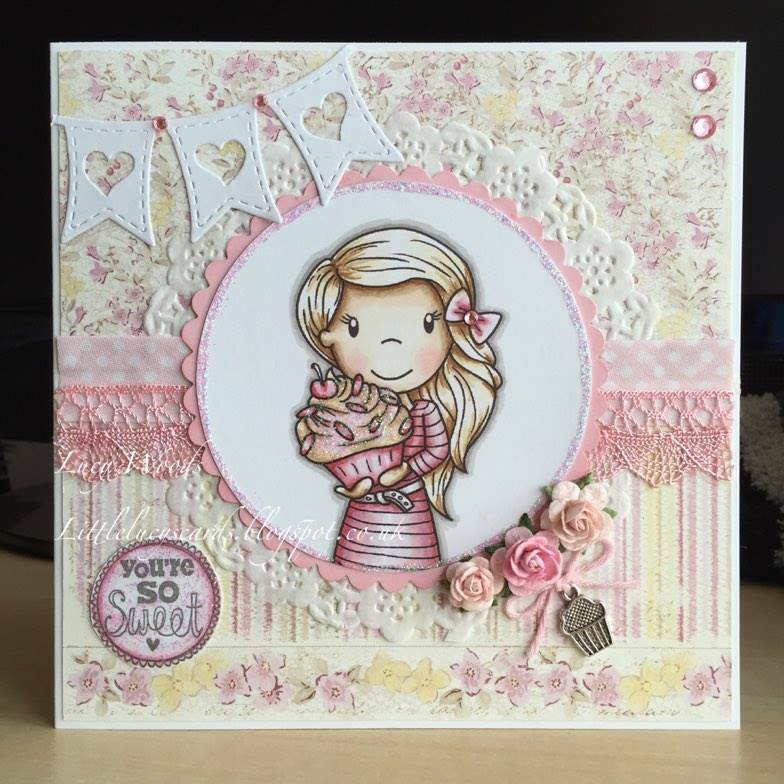 She used NEW Avery with Cross to make this lovely card, and I think it turned out beautiful. 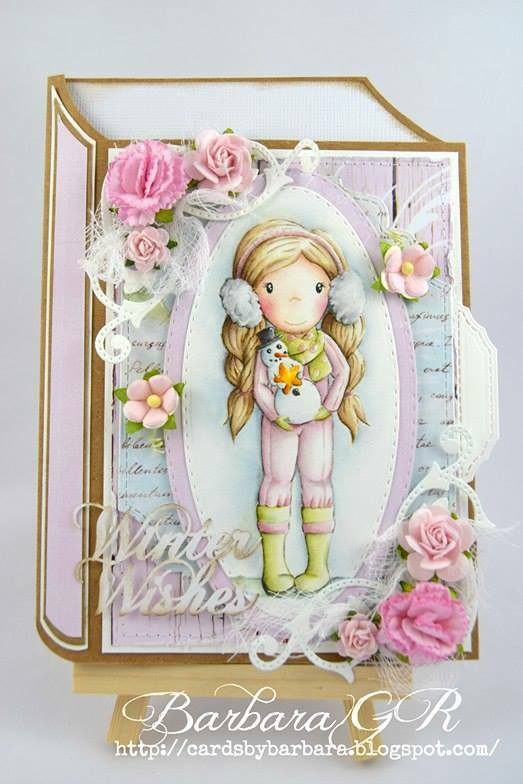 Today I have another beautiful card to share you by the very talented Tamara Potocnik. She used Hat Shopping Emma to make her stunning creation. I love the new Maja papers...they look amazzzzzing! 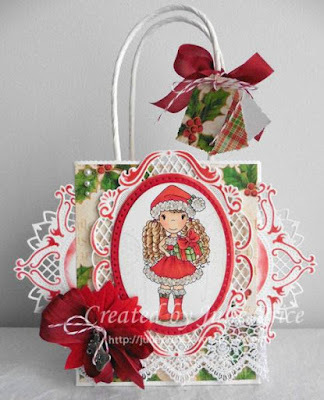 You can see this and many more of her gorgeous projects on her blog here. 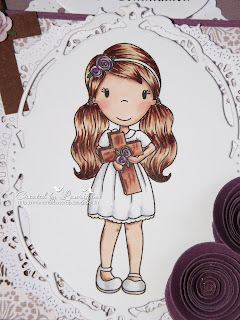 Hello, Tamara Potocnik made a beautiful card using Avery with Cross. The stamp image is colored in distress inks. 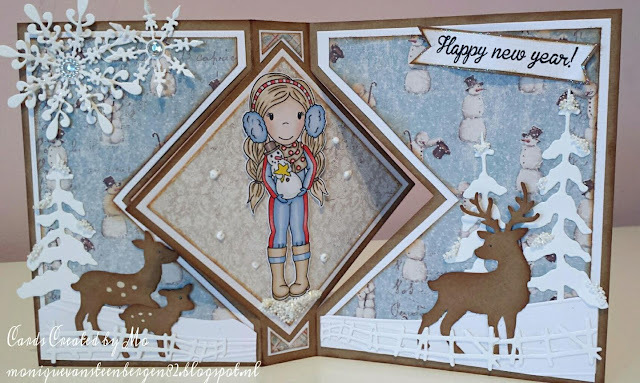 The embellishments are subtle and beautiful, accented by the chipboard pieces that are from Scrapiniec. 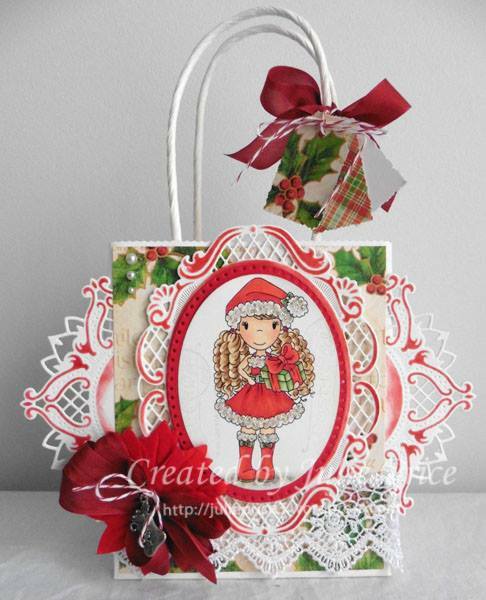 You can see this and more of her projects by clicking HERE or looking for her on Pinterest. 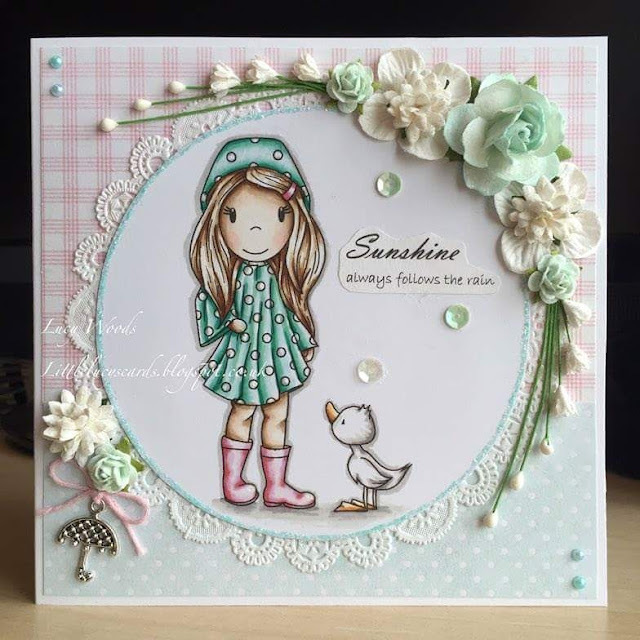 This is a beautiful card showing off our new Paper Nest Dolls Faith Collection. This beautiful card was made by Tamara Potocnik. 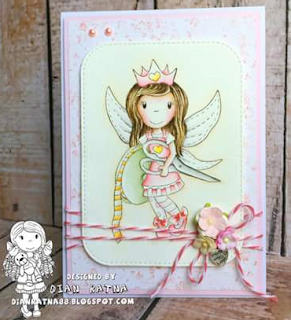 She used NEW Fairy Emma, aka Tink, to make this stunning project. The soft color pallet in the embellishments is a perfect background for the fairy image colored in distress inks. 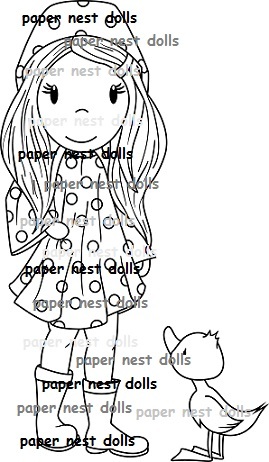 You can see more on her blog by clicking HERE and at the Noor! Design blog by clicking HERE. 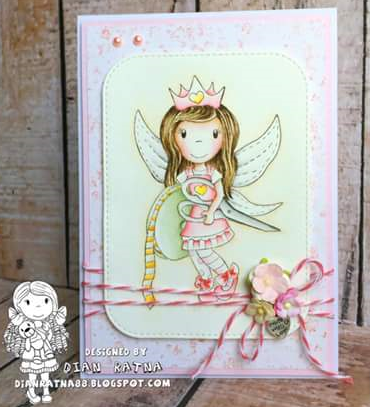 Hello, DT member Dian Ratna made a wonderful card using Craft Fairy. 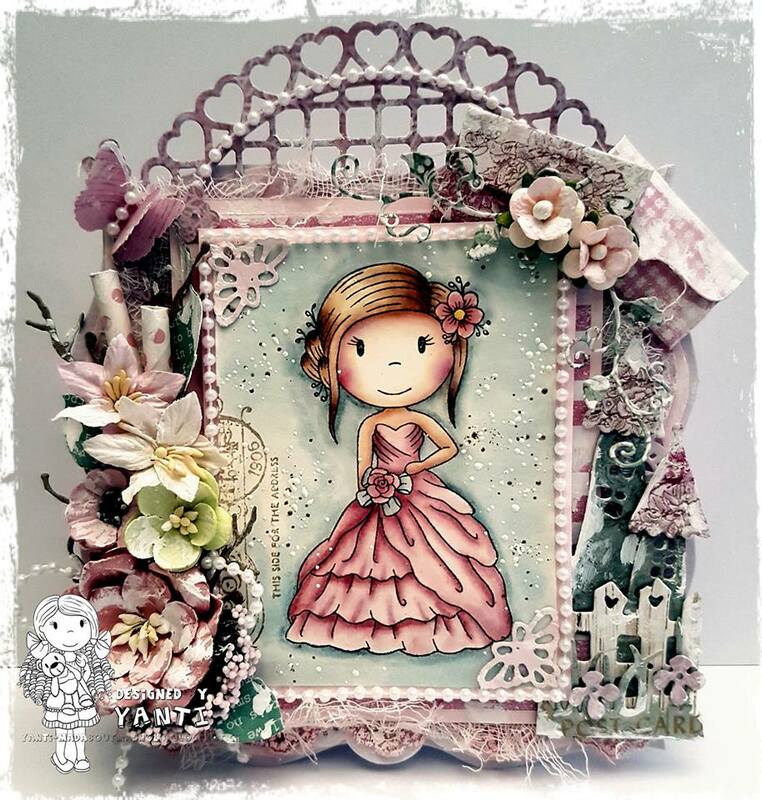 Soft tones and simple embellishments provide a beautiful color pallet. You can check out more of her creations by clicking HERE or go to http://dianratna88.blogspot.com/. 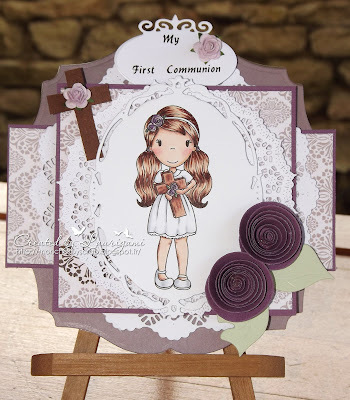 Today we have 2 NEW images from our Faith Collection... and we will be adding more.